These are the happiest farm animals I have ever seen and I am sure you will agree! Such delightful pigs, horses, cows, mules and everything farm. Such bright colors and wonderful shades of yellow, orange, pink, blue, green and of course pure white! 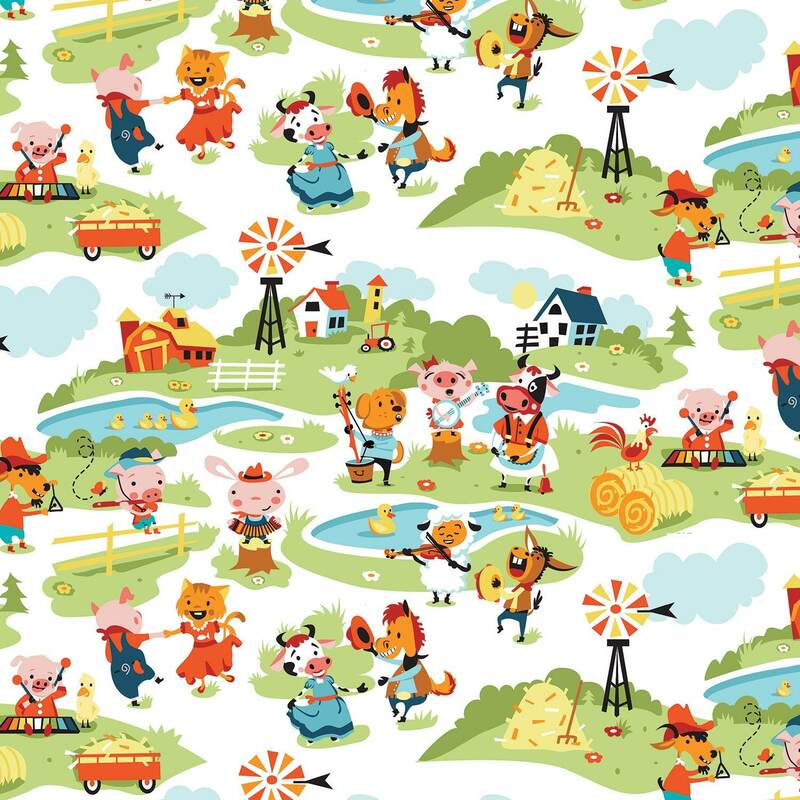 You will surely create a cute farm quilt for your little farmer using Harmony Farm fabric. All fabric from The Quilted Nursery Children's Fabric Store is cut directly from the bolt in continuous yardage. We now offer fractional yardage cuts for your shopping convenience. All shipping overages are refunded on shipment of fabric. Same day shipping except for holidays and Sunday.